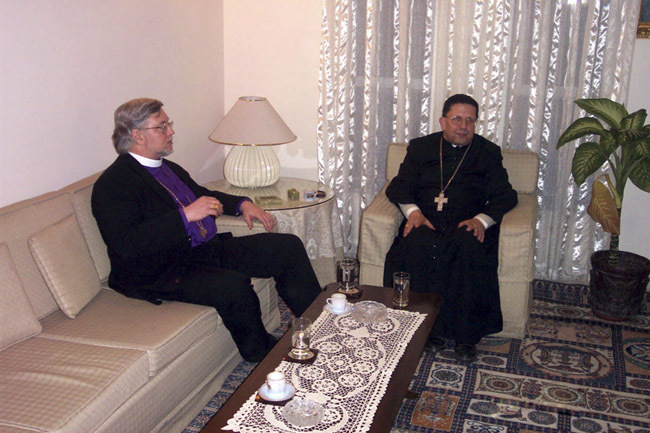 Bishop Pierre Whalon with Msgr Jean Sleiman, OCD. Msgr Sleiman is the bishop for Roman Catholics in Iraq, and said that his numbers have declined from 50,000 faithful to just 2,000 in ten years. This picture was taken in Msgr Sleiman's office.